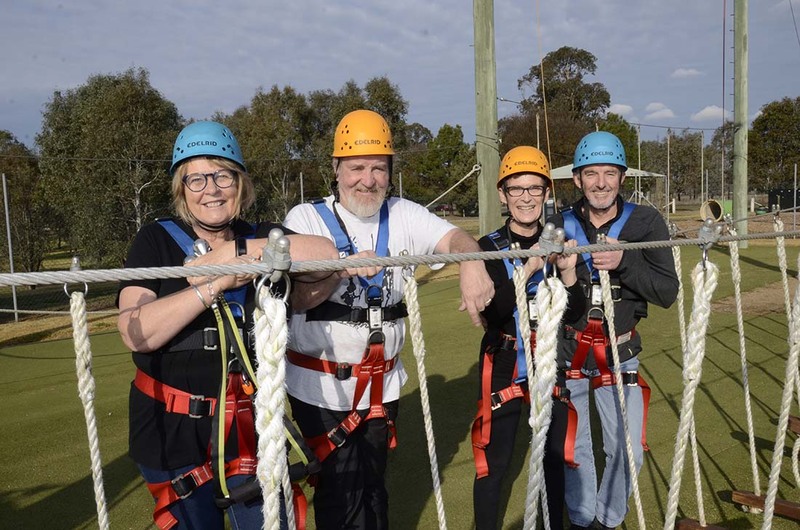 Just 15 minutes from Wagga Wagga, 2 ¼ hours west of Canberra, and 4 ½ hours from Sydney and Melbourne, Borambola Sport and Recreation Centre is ideal for school, family and kids’ camps, sport development camps, corporate or social functions, team building and community group use. With a range of facilities including 24 accommodation rooms (for up to 172 people), on-site catering and dining hall, meeting and function rooms, Wi-Fi, high ropes course, tennis courts, pool, BMX track, sporting fields and mini-golf course. Nestled in the heart of Riverina farming country, the centre enjoys a peaceful setting on the banks of Tarcutta Creek. Dominated by big skies, flat plains, large gums dot the landscape and native animals abound. A mild to warm climate prevails making Borambola Sport and Recreation Centre ideal for year round bookings. Team building and leadership training is also available. AV equipment (projector, microphone, Apple TV) can be provided.